Children Museum ~Let's Play with five senses! 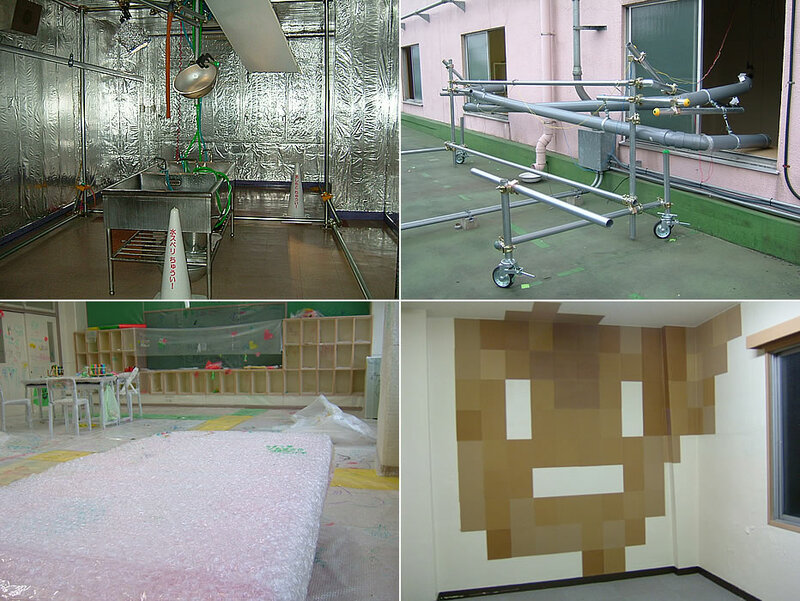 organic paints, steel pipes, woods(organic), plants, air cleaner, turf, sound of birds, etc. I had the project exhibition in summer 2005, whose theme was that I provided spaces that kids could experience "five senses". So I divided five rooms for each sense. This art work was the installation of the sense for smell ; We called Heidi's room. 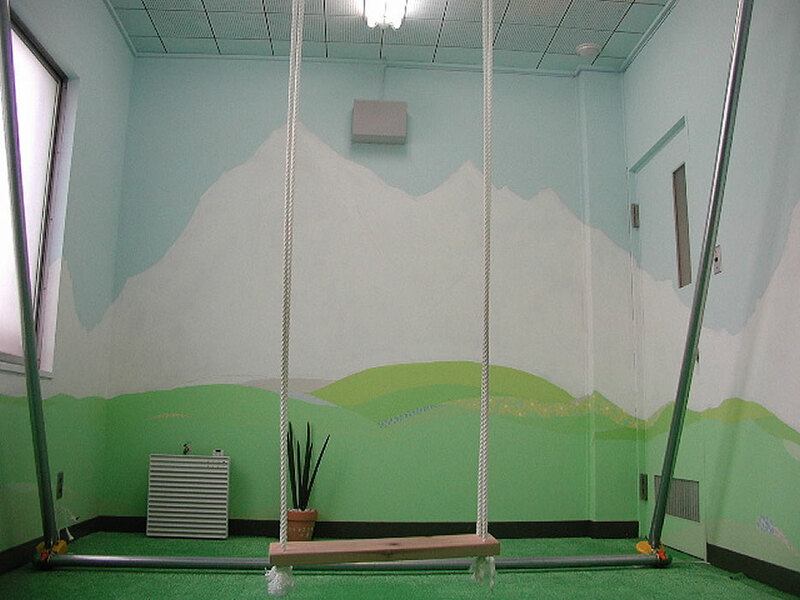 Why we called it Heidi's room was because of the famous Japanese animation "Heidi, Girl of the Alps". I represented the extreme fresh air as the Alps mountains with a bit exaggerated and a bit parody sense. 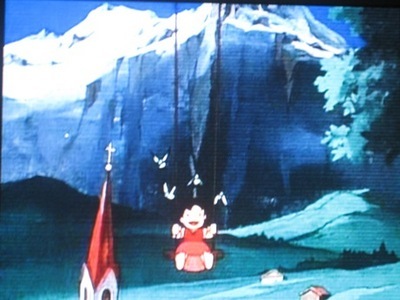 Visitors could sit on a swing and experience the fresh atmosphere as Heidi did in the animation. I drew mountains' image in the whole room with organic shell paints, and used the wood by cutting and felling in a new moon for swing's sitting board. Moreover, negative ion came from sansevieria's pot and air cleaners. Then surrounding sound of birds singing came from the speakers as this room used to be a radio studio in high school. The rooms for other senses; the sense for sight, the sense for hearing, the sense for touch, and the room for all senses. For the taste, I had a special workshop "let's crystallize and taste your fruits and herbs" collaborated with Rika Fukuda who was a famous creater for sweets.